Namibia, a country in southwest Africa, is distinguished by the Namib Desert along its Atlantic Ocean coast. The country is home to diverse wildlife, including a significant cheetah population. The capital, Windhoek, and coastal town Swakopmund contain German colonial-era buildings such as Windhoek’s Christuskirche, built in 1907. The cold Atlantic waters off the Namib coast harbor a wealth of marine life, including two dolphin species and a large colony of Cape fur seals resident at Pelican Point. A variety of birds such as pelicans, flamingos and cormorants can be seen and wild seals are fed by hand on the ski-boat. Fresh oysters, champagne and snacks are enjoyed at the seal colony where dolphins join the fun around the boat. The Namib Desert, the oldest in the world, is reputed to house some of the largest sand dunes on this planet. Come conquer these constantly shifting and powerfully towering beauties by zooming down the sheer slip faces on a traditional Swakopmund sand board or carve up the dune with style and skill on a snowboard adapted for sand. Lie down boarding: Catch your breath and gasp at the slope as you lie face down, dangling over the edge of the slip face, before being pushed off the edge and sent on your way down the curving rolling, sandy slopes. Dune and sand boarding are predominantly offered at Swakopmund and Walvis Bay the two major centers in the tourist recreational area, the dunes are situated around and between the two towns facing the Atlantic Ocean. ****There aren’t many towns that offer quite as much to the traveler on foot as Swakopmund. The historic town is located where the desert hugs the Atlantic Ocean, north of Walvis, and was the original settlement of German colonists. Swakopmund has a distinctly quirky style that managed to survive even with its growth in size. A walk along its roads reveals little treasures that are easily overlooked otherwise. Make a trip of it and take our walking tour to get the most out of Swakopmund. 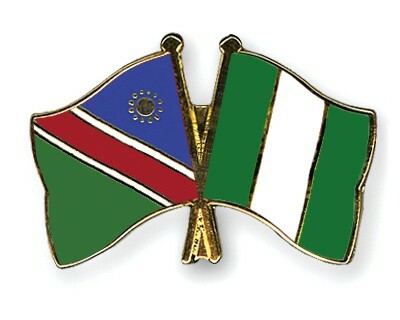 Watch out for more on Namibia as Global Links goes full blast on our NAM-NAIJA PROJECT – PROMOTING NAMIBIA TO NIGERIANS AND NIGERIA TO NAMIBIANS. ADMISSION INTO THE UNIVERSITY OF GEORGIA - FEBRUARY 2019!! !